Manufacturers often offer aluminum or fiberglass clad wood frames to improve the durability of the window and door while offering the beauty of wood. Milgard WoodClad™ Series offer the superior performance of fiberglass and the look of clear, vertical grain Douglas Fir in wood veneer. 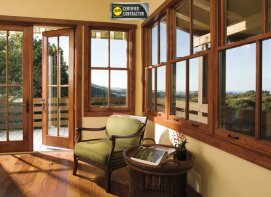 Milgard Essence Series® takes wood windows one step further by combining a solid wood frame interior and combining it with a long-lasting fiberglass exterior. Essence Series windows use a newly engineering mulling system that securely connects multiple units, creating a tight seal and protecting against air and water infiltration. Essence Series® windows are equipped with the Milgard's an innovative water management system. It protects the solid wood interior by draining water away through a hidden system of water channels and drainage holes. 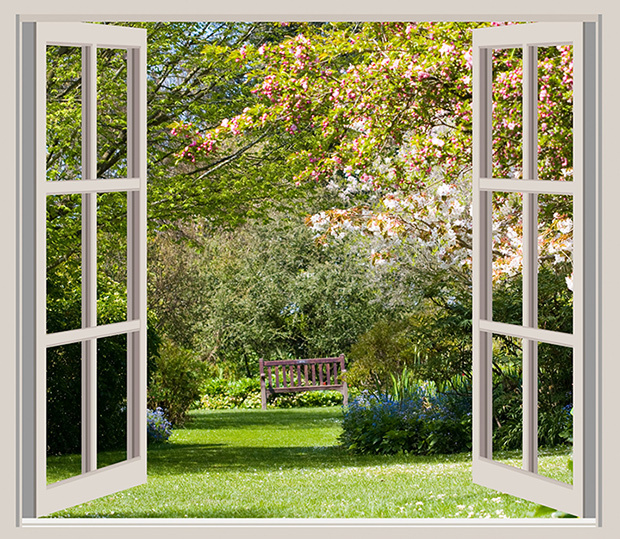 This allows the window to perform at a higher design pressure than most standard wood windows. US Window And Floor 2 Inch Faux Wood Blind for A Door, Antique White 24 X 72"